22 March 1956: While carrying the U.S. Navy’s Douglas D-558-II Skyrocket, problems developed aboard both the research rocketplane and the “mothership.” The modified four-engine heavy bomber, a U.S. Air Force Boeing B-29-95-BW Superfortress (which had been transferred to the U.S. Navy and redesignated P2B-1S Superfortress), had a runaway propeller on the Number 4 engine, outboard on the right wing. The propeller broke apart from excessive rotational speed, slicing through the Number 3 engine, the fuselage, and striking the Number 2 engine. NACA research test pilot John Barron (“Jack”) MacKay, in the cockpit of the Skyrocket, had called “No drop!” because of problems with the rocketplane, but he was jettisoned so that the mothership could maintain flight and make an emergency landing. McKay dumped the Skyrocket’s propellants and glided to the lake bed. — Always Another Dawn: The Story of a Rocket Test Pilot, by A. Scott Crossfield and Clay Blair, Jr., The World Publishing Company, Cleveland and New York, 1960, Chapter 21 at Pages 201–202. The Superfortress pilots, Stanley Paul Butchart and Neil Alden Armstrong, landed the plane safely on the lake bed at Edwards Air Force Base. Neil Armstrong would land on The Moon 13 years later. 20 November 1953: At Edwards Air Force Base, California, NACA’s High Speed Flight Station research test pilot Albert Scott Crossfield, Jr., rode behind the flight crew of the Boeing P2B-1S Superfortress as it carried the Douglas Aircraft Company D-558-II Skyrocket supersonic research rocketplane to its launch altitude. 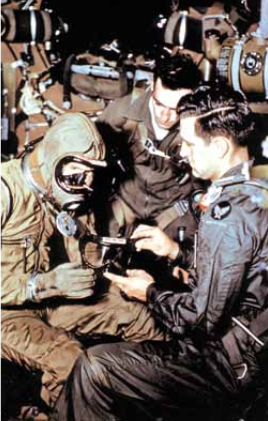 As the four-engine bomber climbed through 18,000 feet (5,486 meters), Crossfield headed back to the bomb bay to enter the Skyrocket’s cockpit and prepare for his flight. 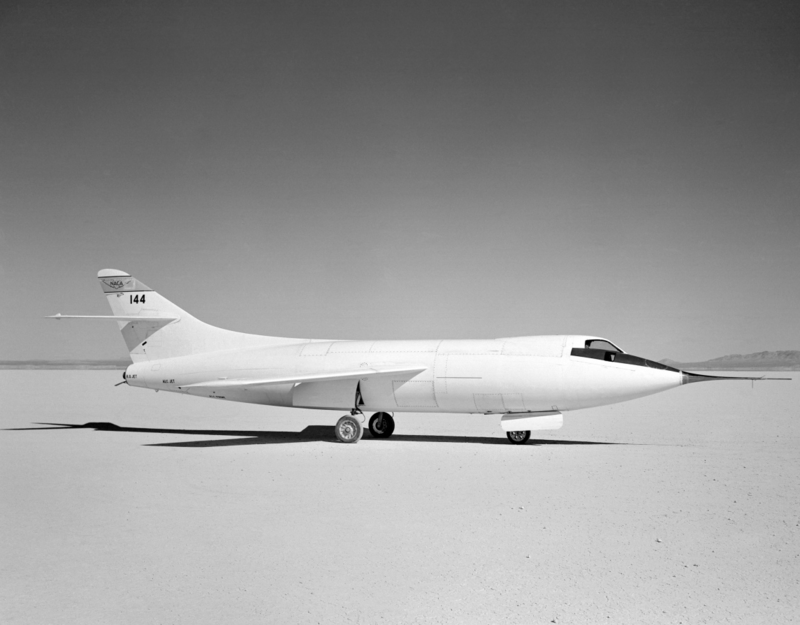 The Douglas D-558-II was Phase II of a United States Navy/Douglas Aircraft Company/National Advisory Committee on Aeronautics joint research project exploring supersonic flight. It was a swept-wing airplane powered by a single Reaction Motors LR8-RM-6 four-chamber rocket engine. The Skyrocket was fueled with alcohol and liquid oxygen. The engine was rated at 6,000 pounds of thrust (26.69 kilonewtons) at Sea Level. There were three Phase II aircraft. Originally, they were also equipped with a Westinghouse J34-W-40 turbojet engine which produced 3,000 pounds of thrust (13.35 kilonewtons). The Skyrockets took off from the surface of Rogers Dry Lake. Once the D-558-II reached altitude, the rocket engine was fired for the speed runs. As higher speeds were required, the program shifted to an air launch from a B-29 (P2B-1S) drop ship. Without the need to climb to the test altitude, the Skyrocket’s fuel load was available for the high speed runs. The D-558-II was 42.0 feet (12.80 meters) long, with a wingspan of 25.0 feet (7.62 meters). The leading edge of the wing was swept at a 35° angle and the tail surfaces were swept to 40°. The aircraft weighed 9,421 pounds (4,273 kilograms) empty and had a maximum takeoff weight of 15,787 pounds (7,161 kilograms). It carried 378 gallons (1,431 liters) of water/ethyl alcohol and 345 gallons (1,306 liters) of liquid oxygen. 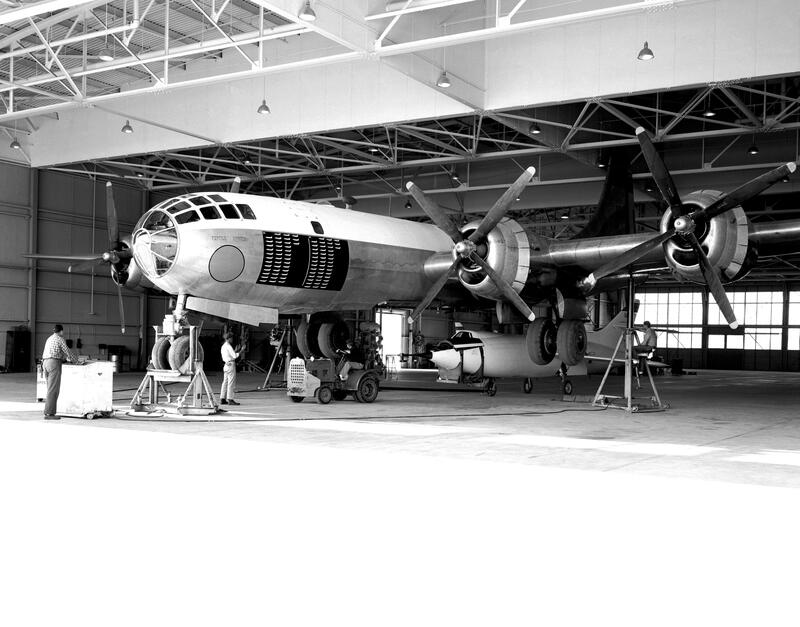 The mothership, NACA 137, was a Boeing Wichita B-29-95-BW Superfortress, U.S. Air Force serial number 45-21787. It was transferred to the U.S. Navy, redesignated P2B-1S and assigned Bureau of Aeronautics number 84029. Douglas Aircraft modified the bomber for its drop ship role at the El Segundo plant. Going above the planned launch altitude, the Superfortress was placed in a slight dive to build to its maximum speed. At the bomber’s critical Mach number (Mcr), the Skyrocket was just above its stall speed. At 32,000 feet (9,754 meters), Crossfield and the Skyrocket were released. The rocketplane fell for about 400 feet (122 meters) until the rocket engine ignited and then it began to accelerate. Crossfield climbed at a steep angle until he reached 72,000 feet (21,946 meters), and then leveled off. Now in level flight, the D-558-II accelerated, quickly passing Mach 1, then Mach 1.5. Crossfield pushed the nose down and began a shallow dive. The Skyrocket, still under full power, built up speed. As it passed through 62,000 feet (18,998 meters) the Skyrocket reached its maximum speed, Mach 2.005, or 1,291 miles per hour (2,078 kilometers per hour). 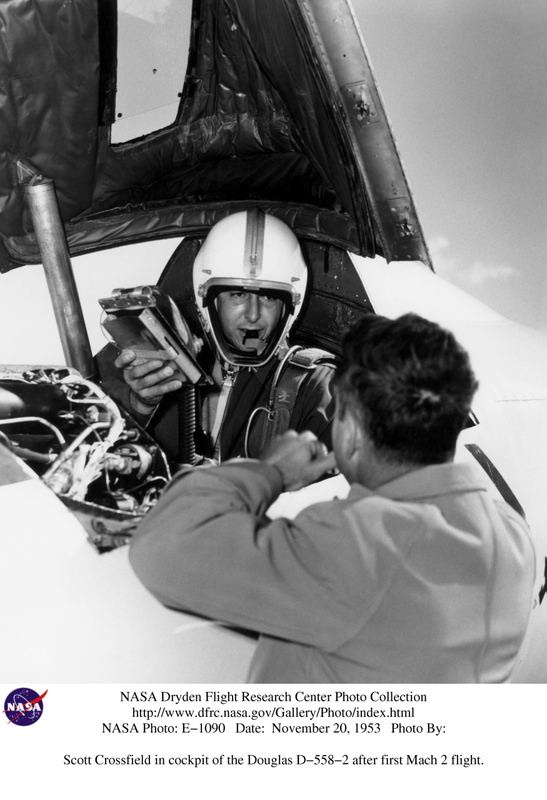 Scott Crossfield was the first pilot to fly an aircraft beyond Mach 2, twice the speed of sound. During his career as a test pilot, he flew the Douglas D-558-II, the Bell X-1, Bell X-2 and North American X-15. He made 112 flights in rocket-powered aircraft, more than any other pilot. The supersonic research rocketplane had been dropped from a Boeing P2B-1S Superfortress at 30,000 feet (9,144 meters) over Edwards Air Force Base. During this flight the Skyrocket reached Mach 1.728. WASHINGTON (AP) —The Navy said Monday Lt. Col. Marion E. Carl, a Marine Corps pilot set a new altitude record of 83,235 feet in the Douglas Skyrocket research plane on Aug. 21. The previous altitude record was 79,494 feet, set in the same airplane by Douglas test pilot Bill Bridgeman on Aug. 7, 1951. A Navy spokesman said Carl is at Edwards Air Force Base, Calif. for an attempt Monday or Tuesday on the speed mark of 1,238 miles an hour set by Bridgeman in the Navy D-558-2 Skyrocket Aug. 1, 1951. As in Bridgeman’s altitude and speed record flight, Carl’s runs are being made through aerial launching. 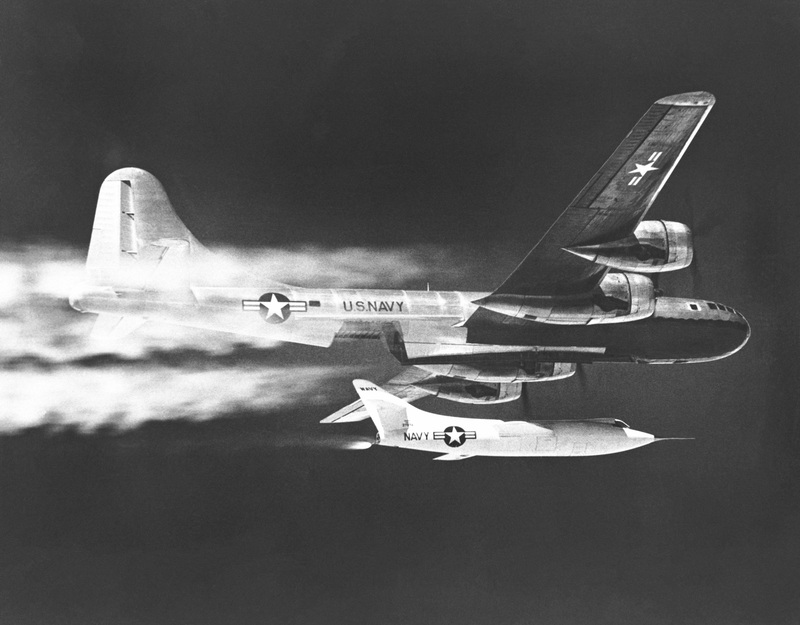 The Skyrocket is carried to an altitude of 30,000 feet or better by a B29 “mother plane,” and then released. National Aeronautic Assn. rules require that altitude record attempts be launched from the ground and that speed runs be made at specified altitudes. For these reasons, none of the Skyrocket records is, or likely to become, official. Some flying authorities have urged that official rules be rewritten to conform to modern developments in flying technique. Carl is from Hubbard, Ore. and is stationed at the Quantico, Va., Marine Corps Air Station. He has been assigned as assistant Marine Corps project officer for the national aircraft show at Dayton next week. Five Years ago Carl set a world speed mark of 650.8 miles an hour in the Skyrocket’s Navy predecessor, the D-558-1 Skystreak. The Douglas D-558-II was Phase II of a U.S. Navy/Douglas Aircraft Company/National Advisory Committee on Aeronautics joint research project exploring supersonic flight. It was a swept-wing airplane powered by a single Reaction Motors LR8-RM-6 four-chamber rocket engine. The Skyrocket was fueled with alcohol and liquid oxygen. The engine was rated at 6,000 pounds of thrust (26.69 kilonewtons) at Sea Level. There were three Phase II aircraft. 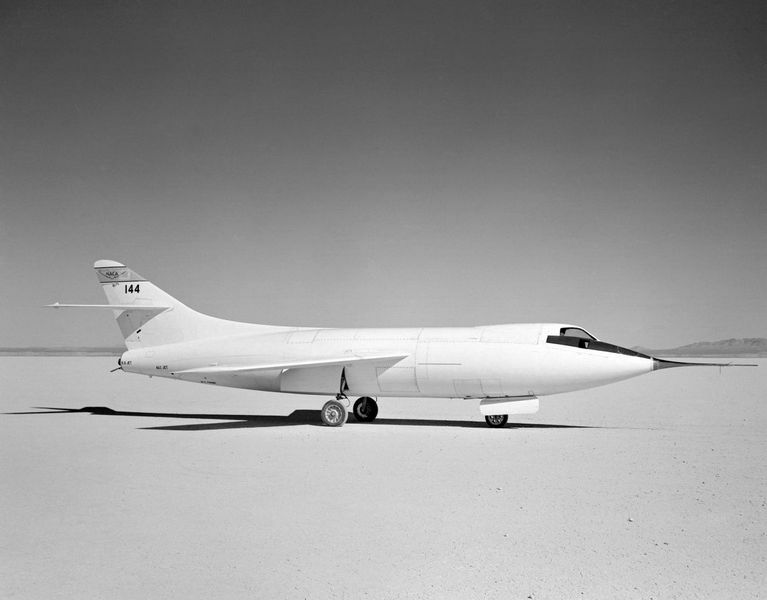 Originally, they were also equipped with a Westinghouse J34-W-40 turbojet engine which produced 3,000 pounds of thrust (13.35 kilonewtons) and the Skyrockets took off from the surface of Rogers Dry Lake. Once the D-558-II reached altitude, the rocket engine was fired for the speed runs. As higher speeds were required, the program shifted to an air launch from a B-29 (P2B-1S) “mothership”. Without the need to climb to the test altitude, the Skyrocket’s fuel load was available for the high speed runs. 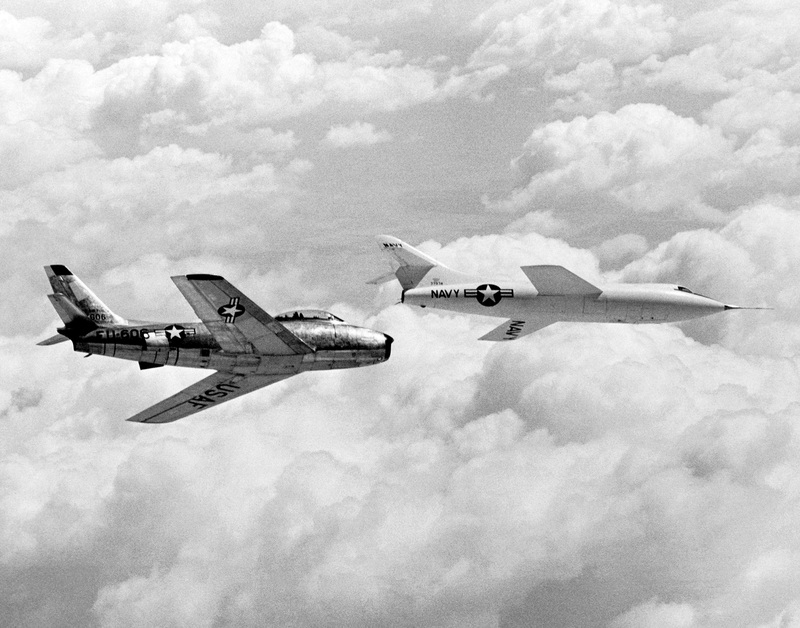 Between 4 February 1948 and 28 August 1956, the three rocketplanes made a total of 313 flights. Marion Eugene Carlwas born at Hubbard, Oregon, 1 November 1915. He was the second of four children of Herman Lee Carl, a dairy farmer, and Ellen Lavine Ellingsen Carl. Carl graduated from Oregon State College at Corvallis, Oregon, and was commissioned as a second lieutenant in the United States Army Reserve, 31 May 1938. Lieutenant Carl soon resigned this commission to accept an appointment as an Aviation Cadet, United States Navy. He enlisted as a private, first class, Volunteer Marine Corps Reserve, 17 July 1938, and was designated a student Enlisted Naval Aviation Pilot assigned to the Naval Reserve Aviation Base, Squantum, Massachusetts. He entered flight school as an Aviation Cadet at Naval Air Station Pensacola near Pensacola, Florida, 26 July 1938. 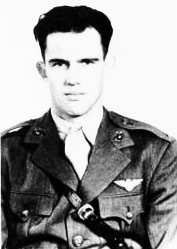 After completing flight training, Carl was commissioned as a Second Lieutenant, United States Marine Corps Reserve, 20 October 1939. He was then assigned to Marine Fighting Squadron One (VMF-1) at Brown Field, Quantico, Virginia. In 1940, Lieutenant Carl returned to NAS Pensacola as a flight instructor. On 25 February 1941, Second Lieutenant Carl, U.S.M.C.R., was appointed a Second Lieutenant, United States Marine Corps. 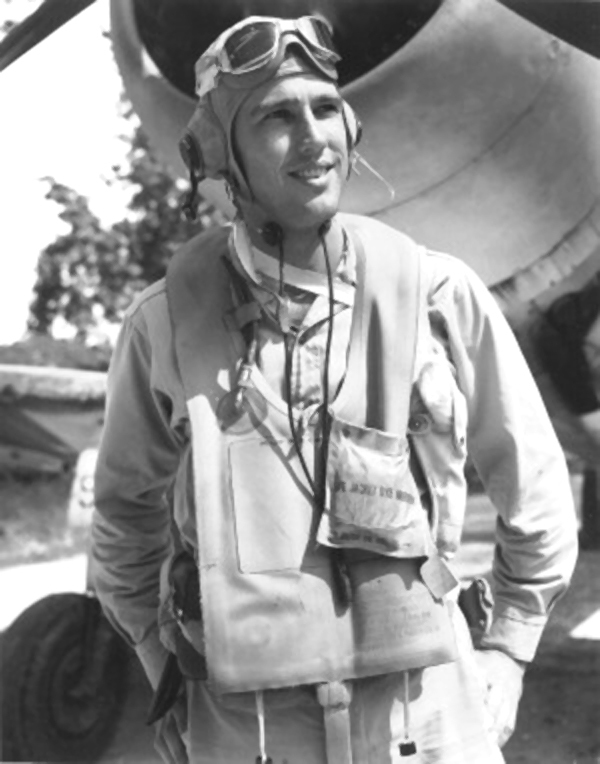 Lieutenant Carl was transferred to VMF-221 at San Diego, California, as a fighter pilot. The unit was assigned to the aircraft carrier USS Saratoga (CV-3) for transportation to MCAS Ewa, Oahu, Territory of Hawaii. On 25 December 1941, VMF-221 was deployed to Midway Atoll. Marion Carl and his squadron fought during the Battle of Midway. Flying a Grumman F4F-3 Wildcat, Bu. No. 1864,³ on 4 June 1942, he shot down his first enemy airplane, a Mitsubishi A6M Zero fighter, and damaged two others. Lieutenant Carl was awarded the Navy Cross for his actions in that decisive battle. Carl was shot down in 9 September 1942 and was missing for five days. He was helped by islanders who eventually returned him to his base. The squadron departed Guadalcanal 16 October 1942, and sailed to San Francisco, California. VMF-223 was credited with destroying 110½ enemy aircraft. Carl was credited with 16. Lieutenant Carl married Miss Edna T. Kirvin at New York City, New York, 7 January 1943. On 26 January, he took command of VMF-223. On 8 May 1943, Lieutenant Carl was promoted to the temporary rank of captain. The squadron was re-equipped with the new Vought-Sikorsky F4U-1 Corsair. Training in the new fighter took place at MCAS El Toro, in southern California. In August, the squadron returned to combat in the Solomons. By the end of 1943, Major Carl’s total of enemy aircraft destroyed was 18½ with 3 damaged, making him the seventh highest-scoring Marine fighter pilot of World War II. After the War Marion Carl trained as a test pilot at NAS Patuxent River, Maryland, testing jet aircraft on aircraft carriers and he was also the first Marine Corps pilot to fly a helicopter. He commanded the Marine’s first jet squadron, VMF-122, which flew the McDonnell FH-1 Phantom. He was promoted to lieutenant colonel 7 August 1947. In May 1955, Colonel Carl commanded Marine Photo Reconnaisance Squadron One (VMJ-1). The squadron flew the McDonnell FH-2 Banshee from air bases on Taiwan on secret missions over the People’s Republic of China. 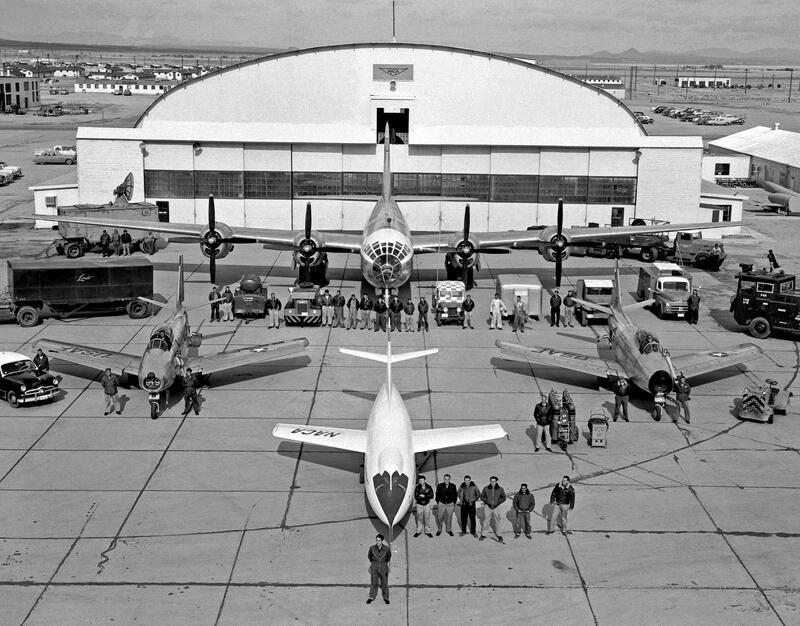 At Muroc Army Air Field (now Edwards Air Force Base) he tested the Douglas D-558-I Skystreak and D-558-II Skyrocket, setting world records for speed and altitude. He was promoted to colonel, 1 October 1956. By 1962 Colonel Carl was Director of Marine Corps Aviation. He was promoted to brigadier general, 1 June 1964. Brigadier General Carl commanded the First Marine Brigade during the Vietnam War and flew combat missions in jet fighters and helicopter gun ships. Promoted to major general in August 1967, with his date of rank retroactive to 1 June 1964. 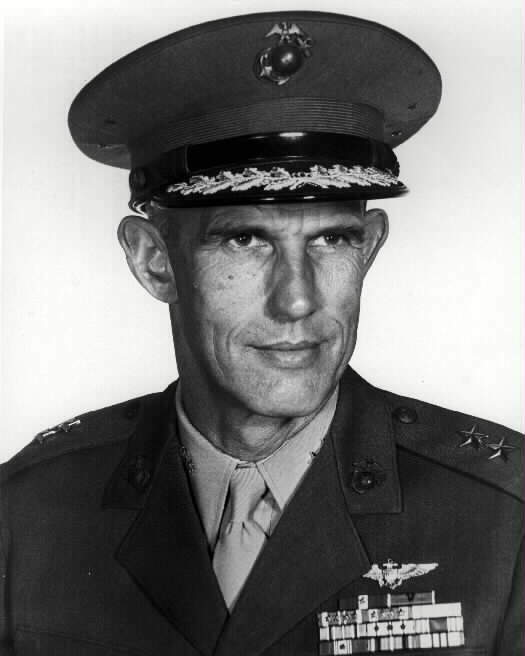 Carl commanded the 2nd Marine Aircraft Wing, then served as Inspector General of the Marine Corps from 1970 until 1973. When he retired in 1973, General Carl had accumulated more that 13,000 flight hours. During his military career, Major General Carl was awarded the Navy Cross with two gold stars (three awards); The Legion of Merit with valor device and three gold stars (four awards); The Distinguished Flying Cross with four gold stars (five awards); and the Air Medal with two gold and two silver stars (twelve awards). Tragically, General Carl was murdered in Roseburg, Oregon, 28 June 1998, as he defended his wife, Edna, during a home-invasion robbery. Mrs. Carl was wounded, but survived. Major General Marion E. Carl, United States Marine Corps, is buried at Arlington National Cemetery. ¹ No officially-certified altitude record was set during this flight. ² The pressure suit Lieutenant Colonel Carl was testing was a David Clark Co. Model 7 full-pressure suit. ³ Often cited as Grumman F4F-3 Bu. No. 4000 (second bureau number series, 1935–1940) the entry in Carl’s certified pilot logbook for 4 June 1942 states the airplane he flew to shoot down the enemy fighter was F4F-3 Bu. No. 1864. 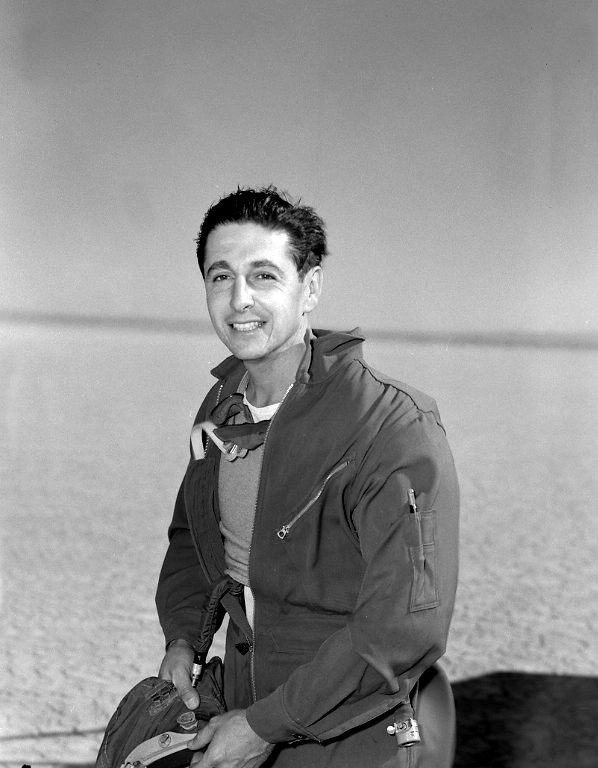 15 August 1951: Just 8 days after he set an unofficial world speed record of Mach 1.88 (1,245 miles per hour; 2,033.63 kilometers per hour) Douglas Aircraft Company test pilot William Barton (“Bill”) Bridgeman flew the rocket-powered United States Navy/National Advisory Committee on Aeronautics (NACA) Douglas D-558-II Skyrocket, Bu. No. 37974, to a world record altitude at Edwards Air Force Base in the high desert of Southern California. The Skyrocket was airdropped at 34,000 feet (10,363 meters) from a highly-modified U.S. Navy P2B-1S Superfortress, Bu. No. 84029. The mother ship was a U.S. Air Force Boeing B-29-95-BW Superfortress, 45-21787, transferred to the Navy and flown by another Douglas test pilot, George R. Jansen. The flight plan was for Bridgeman to fire the rocket engine and allow the Skyrocket to accelerate to 0.85 Mach while climbing. The Skyrocket was powered by a Reaction Motors LR8-RM-6 engine, which produced 6,000 pounds of thrust. As the rocketplane continued to accelerate to Mach 1.12, the test pilot was to pull up, increasing the angle of climb while holding an acceleration rate of 1.2 Gs. This would result in a constantly increasing angle of climb. When it reached 50°, Bridgeman was to maintain that, climbing and accelerating, until the rocket engine ran out of fuel. Initially, the plan was to continue climbing after engine shutdown until the D-558-II was approaching stall at the highest altitude it could reach while on a ballistic trajectory. There were differing expert opinions as to how it would behave in the ever thinner atmosphere. On the morning of the flight, Douglas’ Chief Engineer, Ed Heinemann, ordered that Bridgeman push over immediately when the engine stopped. Bill Bridgeman stuck to the engineers’ flight plan. As the Skyrocket accelerated through 63,000 feet (19,200 meters), it started to roll to the left. He countered with aileron input, but control was diminishing in the thin air. The next time it began there was no response to the ailerons. Bridgeman found that he had to lower the Skyrocket’s nose until it responded, then he was able to increase the pitch angle again. At 70,000 feet (21,336 meters), travelling Mach 1.4, he decided he had to decrease the pitch angle or lose control. Finally at 76,000 feet (23,165 meters), the engine stopped. Following Heinemann’s order, Bridgeman pushed the nose down and the D-558-II went over the top of its arc at just 0.5 G.
“In the arc she picks up a couple of thousand feet. The altimeter stops its steady reeling and swings sickly around 80,000 feet. The altitude is too extreme for the instrument to function. “Eighty thousand feet. It is intensely bright outside; the contrast of the dark shadows in the cockpit is extreme and strange. It is so dark lower in the cockpit that I cannot read the instruments sunk low on the panel. The dials on top, in the light, are vividly apparent. There seems to be no reflection. It is all black or white, apparent or non-apparent. No half-tones. It is a pure, immaculate world here. “She levels off silently. I roll right and there it is. Out of the tiny windows slits there is the earth, wiped clean of civilization, a vast relief map with papier-mâché mountains and mirrored lakes and seas. . . .
—The Lonely Sky, William Bridgeman with Jacqueline Hazard, Castle and Company LTD, London, 1956, Chapter XXII at Page 268. After the data was analyzed, it was determined that William Bridgeman and the Douglas Skyrocket had climbed to 79,494 feet (24,230 meters), higher than any man had gone before. This was the last flight that would be made with a Douglas test pilot. The rocketplane was turned over to NACA, which would assign it the number NACA 144. Bill Bridgeman had been a Naval Aviator during World War II, flying the Consolidated PBY Catalina and PB4Y (B-24) Liberator long range bombers with Bombing Squadron 109 (VB-109), “The Reluctant Raiders.” Bridgeman stayed in the Navy for two years after the war, then he flew for Trans-Pacific Air Lines in the Hawaiian Islands and Southwest Airlines in San Francisco, before joining Douglas Aircraft Co. as a production test pilot, testing new AD Skyraiders as they came off the assembly line at El Segundo, California. 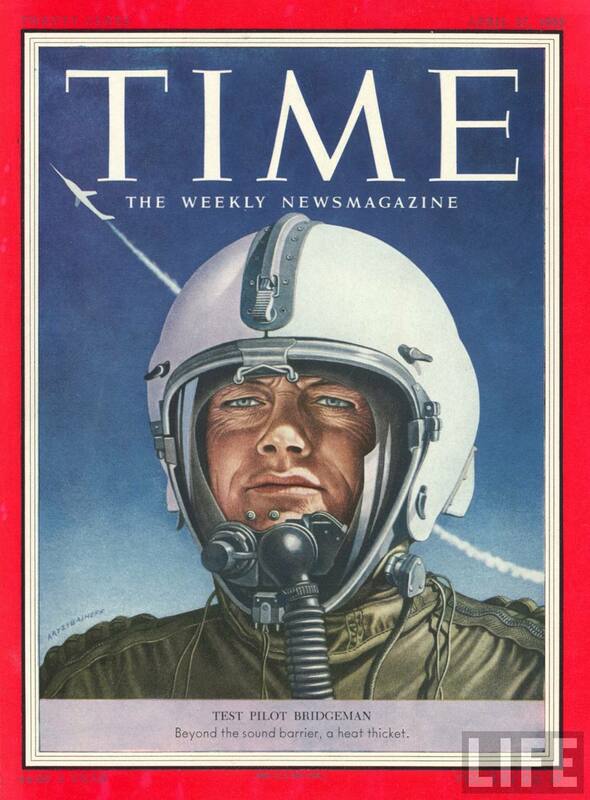 He soon was asked to take over test flying the D-558-2 Skyrocket test program at Muroc Air Force Base. 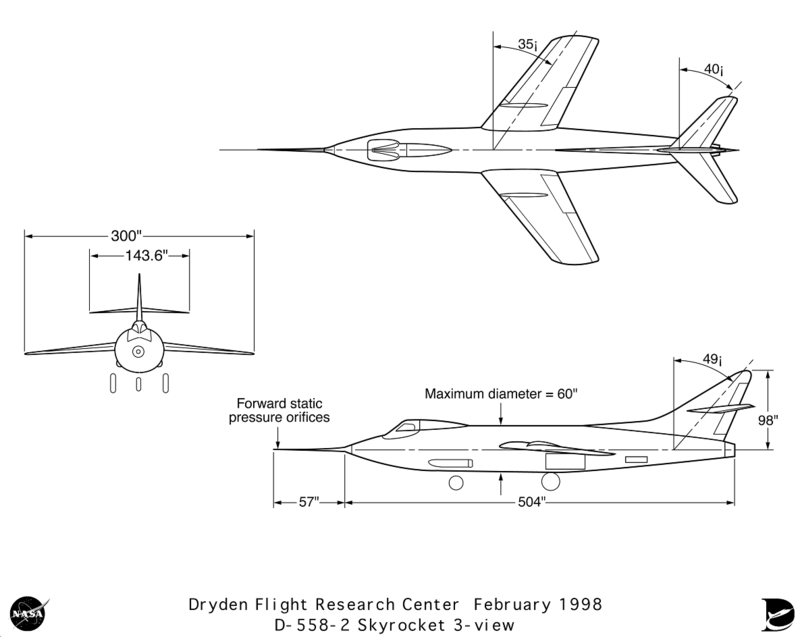 The D-558-II Skyrocket was Phase II of a planned three phase experimental flight program. It was designed to investigate flight in the transonic and supersonic range. It was 46 feet, 9 inches (14.249 meters) long with a 25 foot (7.62 meter) wing span. The wings were swept back to a 35° angle. The Skyrocket was powered by a Westinghouse J34-WE-40 11-stage axial-flow turbojet engine, producing 3,000 pounds of thrust, and a Reaction Motors LR8-RM-6 four-chamber rocket engine, which produced 6,000 pounds of thrust. The rocket engine burned alcohol and liquid oxygen. There were three D-558-2 Skyrockets. Between 4 February 1948 and 28 August 1956, they made a total of 313 flights. Bill Bridgeman’s speed and altitude record-setting Skyrocket, Bu. No. 37974, NACA 144, is in the collection of the Smithsonian Institution National Air and Space Museum. 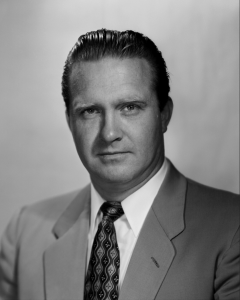 7 August 1951: Douglas Aircraft Company test pilot William Barton Bridgeman flew the rocket-powered U.S. Navy/NACA/Douglas D-558-2 Skyrocket, Bu. No. 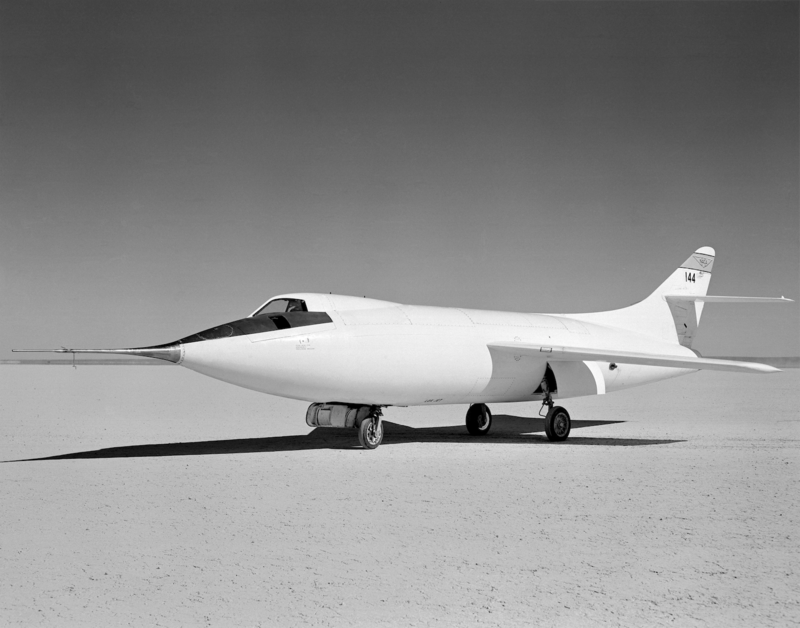 37974 (NACA 144), to a record speed of Mach 1.88 (1,245 miles per hour/2,034 kilometers per hour) at Muroc Dry Lake (later Edwards Air Force Base) in the high desert of southern California. The D-558-2 was airdropped at 34,000 feet (10,363 meters) from a Navy P2B-1S Superfortress, Bu. No. 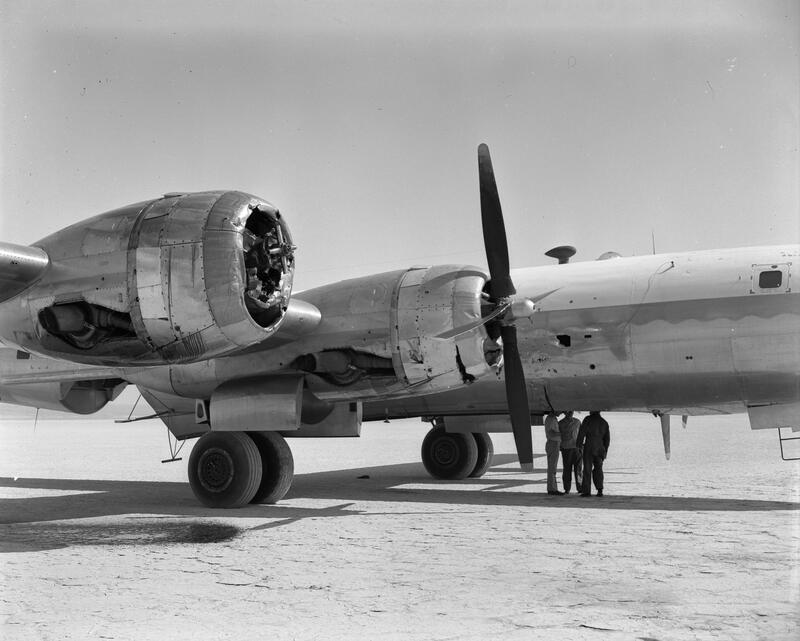 84029 (a U.S. Air Force Boeing B-29-95-BW Superfortress, 45-21787, transferred to the Navy and heavily modified as a drop ship) flown by another Douglas test pilot, George Jansen. We are at 34,000 feet. My cue. Ten cold minutes preparing the ship for flight. The trap door springs and releases the captive Skyrocket swollen with explosive propellants. She blasts into flight. Thirty seconds and I am supersonic. Sixty-eight thousand feet and this is it. Over the rim. Easy. The electrically controlled stabilizer flies her now. It takes over for me. At .6 G I push over just enough to get my speed. I am on the ragged edge between .6 G and .8 G. It is working! Everything is going according to my plan. It is so easy this time. Surely I cannot be breaking my last record without having to pay for it. The Machmeter is moving up, fluttering toward the Number 2. . . the rockets sputter and the fuel is gone. That’s all she wrote. Late that afternoon the official speed attained by the Skyrocket reduced from data and film came out of the aerodynamicists’ office. Mach 1.88. —The Lonely Sky, William Bridgeman, Castle and Company LTD, London, 1956, Chapter XXII at Page 260. Bill Bridgeman had been a Naval Aviator during World War II, flying the Consolidated PBY Catalina and PB4Y (B-24) Liberator long range bombers with Bombing Squadron 109 (VB-109), “The Reluctant Raiders.” Bridgeman stayed in the Navy for two years after the end of the war, then he flew for Trans-Pacific Air Lines in the Hawaiian Islands and Southwest Airlines in San Francisco, before joining the Douglas Aircraft Company as a production test pilot. He flew new AD Skyraiders as they came off the assembly line at El Segundo, California. Bridgeman soon was asked to take over test flying the D-558-2 Skyrocket test program at Muroc Air Force Base. There were three D-558-2 Skyrockets. Between 4 February 1948 and 28 August 1956, they made a total of 313 flights. 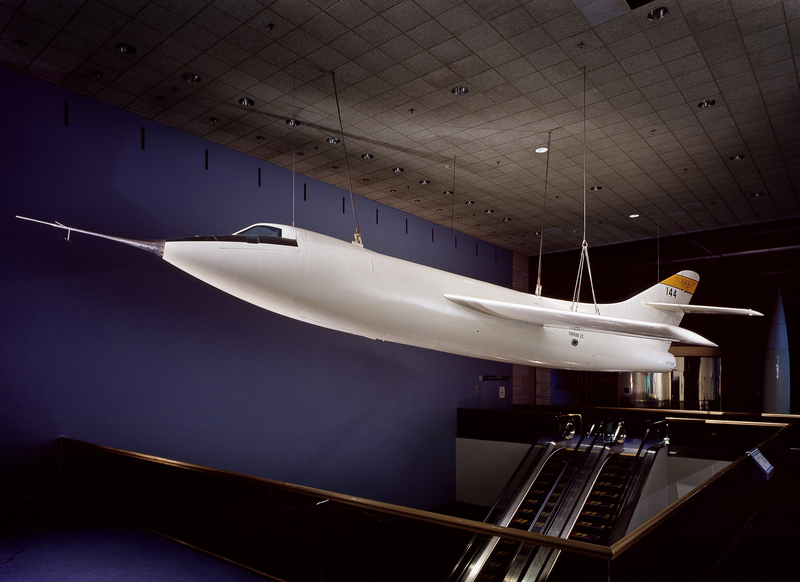 The Skyrocket flown by Bill Bridgeman to Mach 1.88 is in the collection of the Smithsonian Institution National Air and Space Museum.